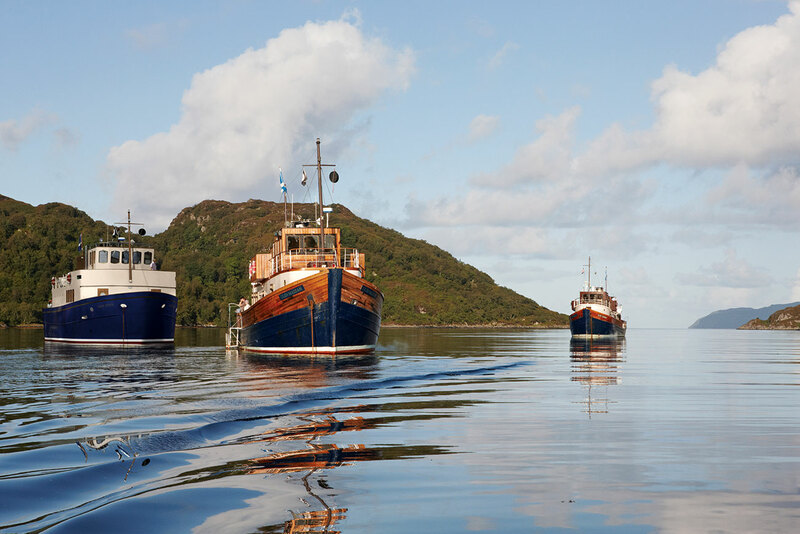 The Glen Etive was commissioned as the latest addition to the Majestic Line fleet. This twelve berth luxury mini-cruise ship is being built at the Ardmaleish Boatbuilding Co. on the River Clyde and will sail on ten-day cruises to Islay, the Outer Hebrides and St Kilda and six-day cruises to Skye. Publicity images of the ship were needed before work began at the boatyard so design drawings were turned into a 3D model. 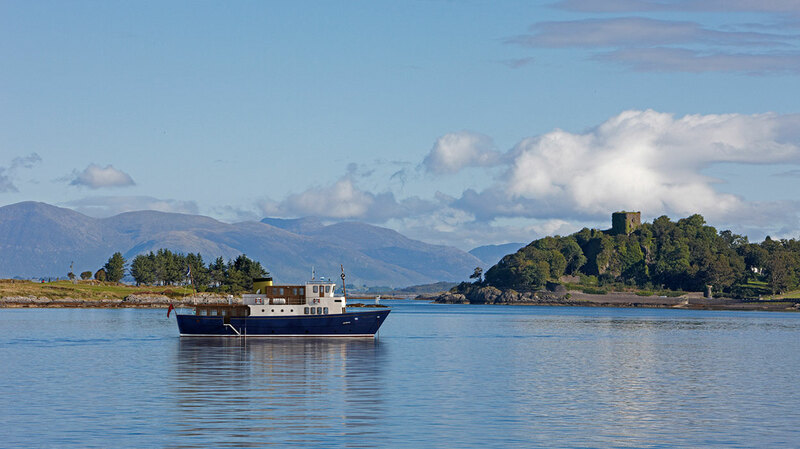 The completed ship was then set at some of the Majestic Line's cruising destinations on the west coast of Scotland. To book crusies on the Majestic Line visit their website at themajesticline.co.uk.